Freshmatic refill delivers a constantly changing fragrance to create a welcoming atmosphere in your office. 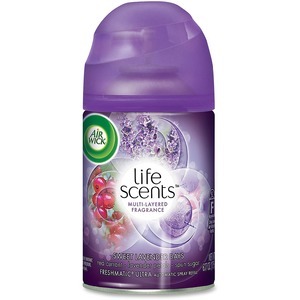 Long-lasting scent provides up to 60 days of continuous fragrance on the low setting. Easy-to-install design allows fast, simple replacement for virtually immediate use. Refill is designed for Air Wick Freshmatic automatic dispensers (sold separately).